On October 12, 2016, the U.S. Department of State finalized Circular 175, a non-public memorandum establishing parameters for and authorizing renegotiation of the Columbia River Treaty of 1964 between the U.S. and Canada. The Treaty was originally negotiated to address flood control and hydropower production on the Columbia River. It can be modified or terminated after 2024 with ten years’ notice. Circular 175 reportedly is based on a December 2013 recommendation to the State Department from the U.S. Army Corps of Engineers and the Bonneville Power Administration following meetings with a broad range of regional stakeholders, including the Pacific Northwest states, federal agencies, hydroelectric power producers, Native American tribes and environmental groups. The recommendations address hydropower production, flood control, eco-system based management of flows and fish passage. The government of Canada declined to begin negotiations until the U.S. finalized its negotiating parameters, so the State Department’s action should enable negotiations with Canada to begin. On October 12, 2016, the U.S. Forest Service (USFS) issued a Notice of Proposed Rulemaking to amend its regulations for National Forest System Land Management Planning. The purpose of the proposed rule is to clarify USFS’s expectations for amendments to existing plans which were established under USFS’s 1982 land management planning rule or the 2012 planning rule. The clarifications include that: (1) the scope and scale of an amendment is based on a need to change the plan; (2) best available scientific information must inform the amendment process; (3) the plan amendment must apply only USFS’s regulations regarding sustainability, diversity, and multiple use that are directly related to the amendment instead of all the requirements in those regulations; (4) an amendment may not make changes that are contrary to the 2012 planning rule; and (5) the scope and scale of the amendment must be justified. Many hydroelectric projects licensed by the Federal Energy Regulatory Commission are located wholly or partially on National Forest Lands. Applications for original or new licenses, amendments to licenses, or certain actions implementing a license may require an amendment to the applicable USFS land management plan. The proposed amendment suggests that USFS is attempting to streamline its land management planning rules to better match the scope and scale of the plan amendment process with the nature of the plan amendment. The Department of Energy has introduced a Hydropower Regulatory and Permitting Information Desktop (RAPID) Toolkit to help developers navigate the complex permitting process needed to authorize a non-federal hydropower project. 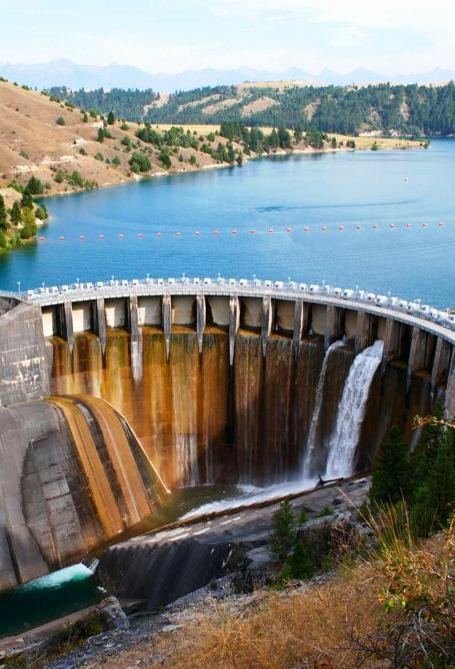 The RAPID Toolkit is a centralized repository of permitting information, organized by state, outlining federal and state requirements for a hydropower project in that state. The RAPID Toolkit also includes a reference library with links to permit applications, processes, manuals, and related information, and includes best practices to help navigate the regulatory process. Use of the RAPID Toolkit can clarify the permitting process, which DOE suggests can help lower total project costs and investor risk. The RAPID Toolkit also includes documentation for other technologies including solar, geothermal, and transmission. DOE’s RAPID Toolkit can be accessed through its website at http://energy.gov/eere/water/hydropower-rapid-toolkit.